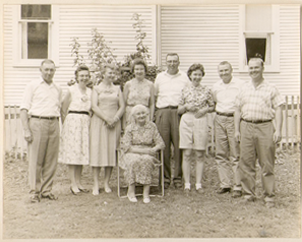 Welcome to Guers Dairy’s website! 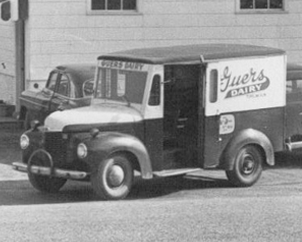 My father, Daniel F. Guers, began delivering milk to local households before I was born. My brother, Howard, and I continued in his footsteps when he passed away. 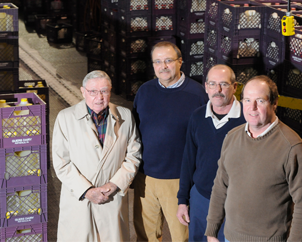 I am proud of my two sons, Daniel C. and Edward, and son-in-law, William Yaag, for continuing to successfully run our family-owned and operated business. 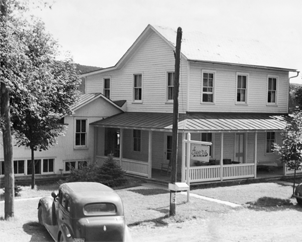 Guers Dairy is located along Tumbling Run Road, east of Pottsville, PA. Guers Dairy milk is locally produced by area dairy farmers and delivered to schools, hospitals, nursing homes, convenience stores, grocery stores and super markets within a 35 mile radius. 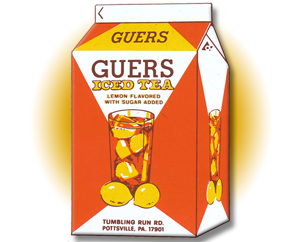 In addition to dairy products, Guers Dairy also sells fruit drinks, orange juice, water and its well-known iced tea. 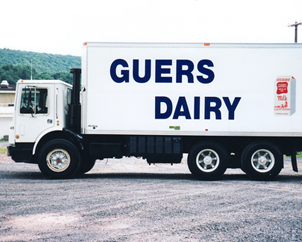 Guers Dairy strives to provide quality products to our customers on a daily basis.